Getting a tattoo abroad can have many positives but also lead to complications. 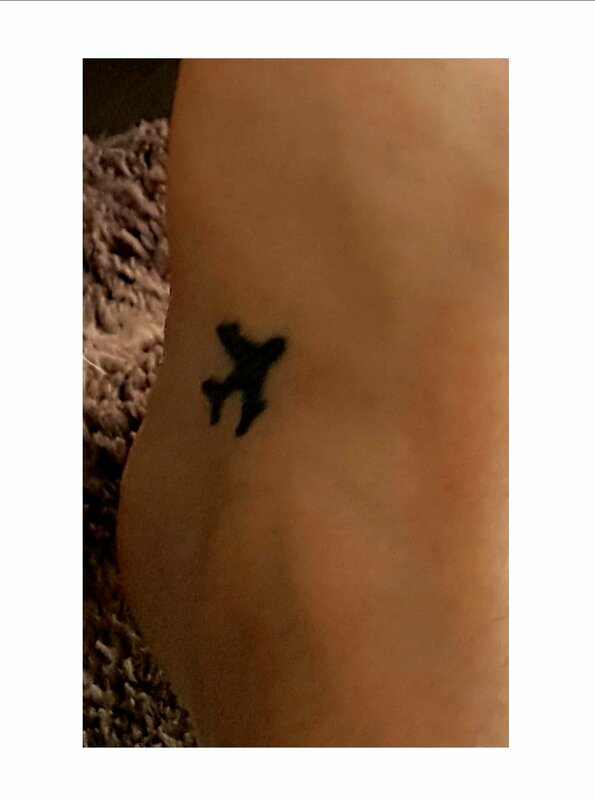 There is no doubt that it’s a lot cheaper abroad and the tattoo is something that you’ll always remember having on your holiday. It’s the complications that we question, what if something goes wrong, like an allergy or infection? While traveling I’ve had 3 tattoos done all in Europe. Dublin, Amsterdam then my recent one in Prague. 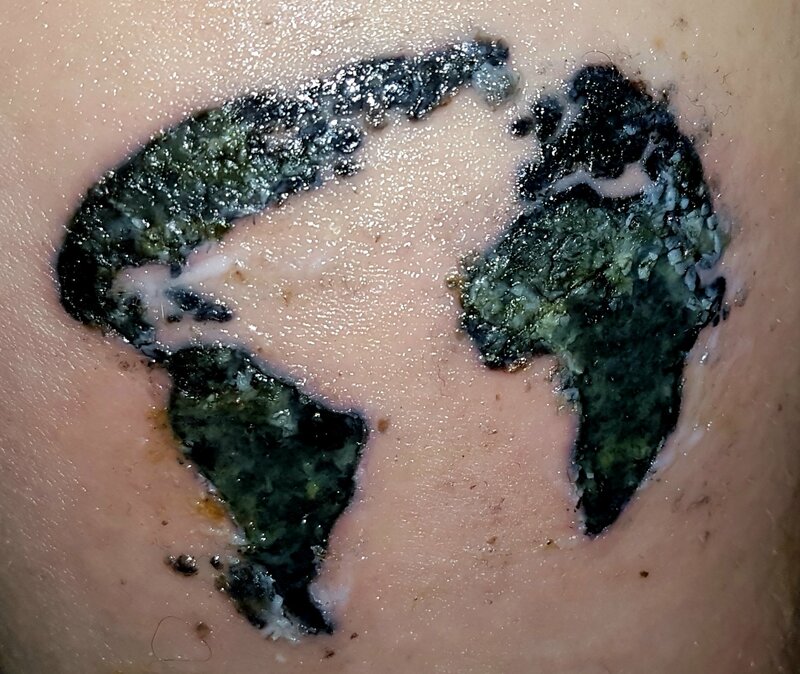 Everyone knows the risks of getting tattoo’s done abroad, but in all honestly in can happen anywhere you are in the world just as much as it can when your home. My first two tattoos were perfect no issues at all, my one in Prague? That’s the reason behind this blog. 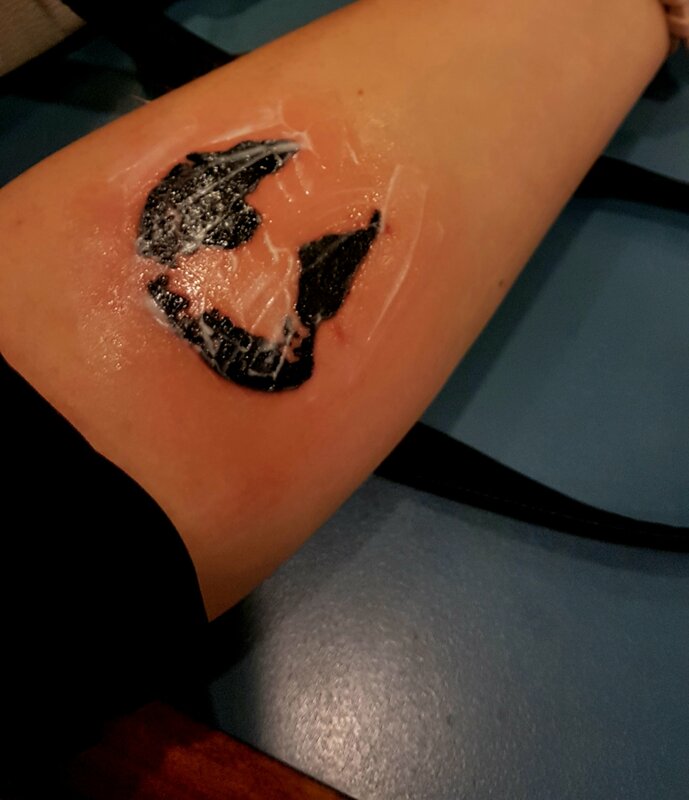 This was my first ever tattoo, and was not planned at all! 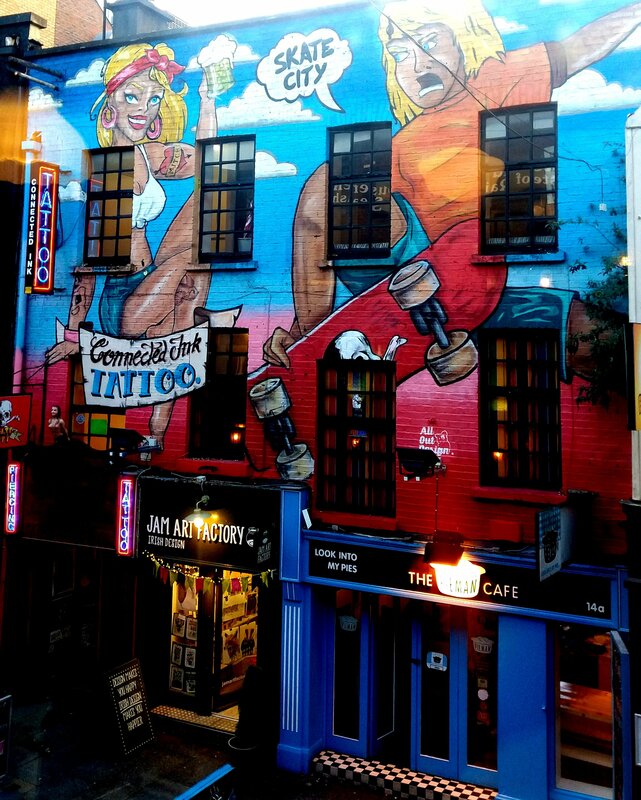 After arriving in Dublin for the Wales away game, I was in the temple bar district where I was in a bar and across from me was a tattoo parlour, one hour later, I left my very first tattoo. Only now do I realise the risks of just walking into a tattoo parlour, without knowing anything about them or their company. Thankfully, I was lucky. The Irish lads that work at Connected Ink Tattoo were brilliant, they gave me all the information I could ever need, made me aware of the safety risks and overall followed all cleanliness regulations. 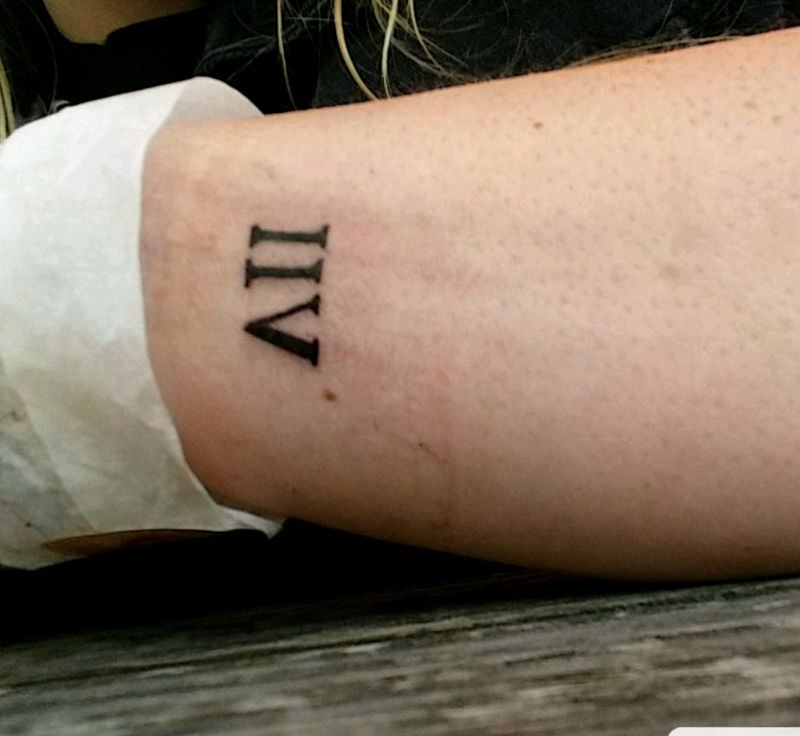 Tattoo number two was at the tattoo parlour Hanky Panky in Amsterdam. 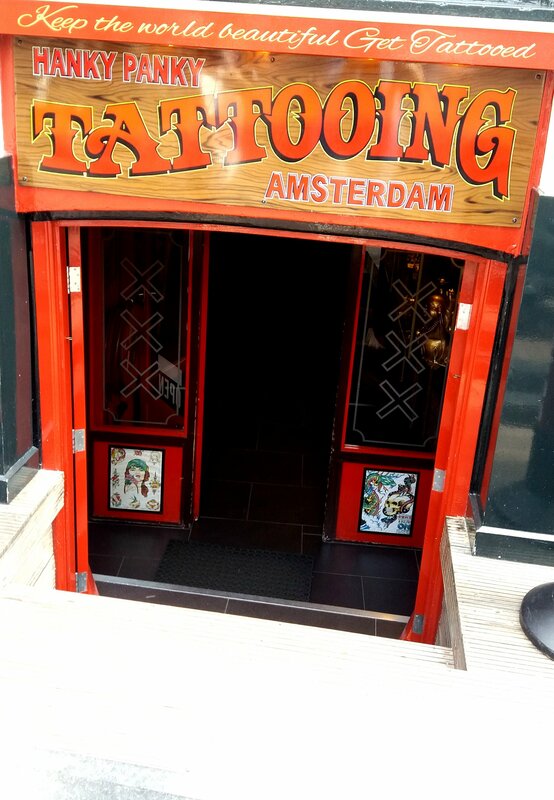 Again, when I left for Amsterdam my tattoo was not planned, I went to the first one I found. By chance, I got lucky second time round. From the moment I walked through the door till the moment I left with my new tattoo must have been no more than 1 hour. The whole procedure at this parlour was very quick although they followed all cleanliness regulations. If this was my first tattoo I would have been cautious as they gave very little information into the aftercare of having a tattoo. 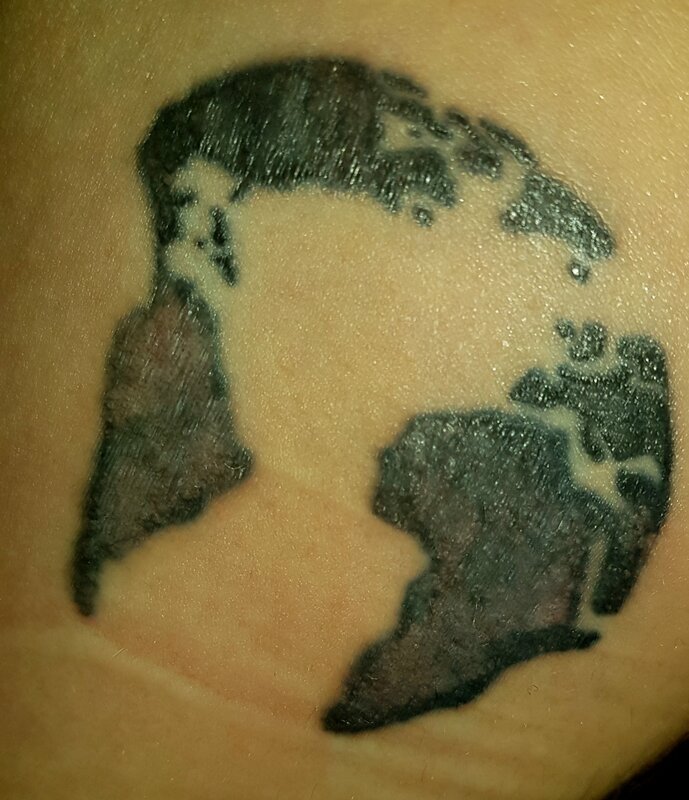 For my 21st I was in Prague, I decided to get my tattoo out there. It’s my very first planned tattoo, also my most recent. I had a clear vision of what I wanted and even researched the tattoo parlour, which had raving reviews. The tattoo parlour I went to was Skinlab. The guys that work there are some of the best artists I’ve ever seen, they really know their field of speciality. Inside the lab was spotless and they followed cleanliness regulations down to a tee. Really happy with the tattoo I left with no problems and all the advice I could ever need. So what went so wrong? The next day, my arm was sore and swollen. I had no idea why, I questioned whether it was because this was the biggest tattoo i’ve had so it was bound to be more painful. It was the next night that I knew something must be wrong, lying awake from 12am to 5am I had worst burning sensation and my arm was red raw, I was having a reaction. I was due to fly home the next day, so there was nothing I could do. After going three days before I could get to a doctor I was told I had a really bad reaction with the ink and I could’ve been left with holes in my arm, thankfully it never went that far! Most of the ink has drained out from my reaction, it could of been a lot worse. 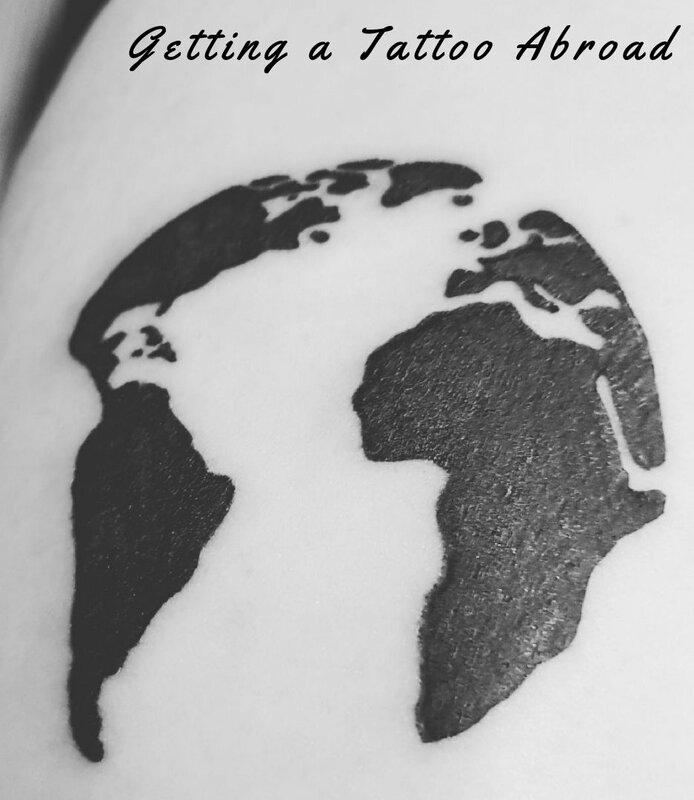 The whole experience taught me a lot about getting a tattoo abroad. What I’ve learnt from having tattoo’s abroad is that each country will tell you different methods. For example, in Dublin they told me to keep my clingfilm round my foot for at least three days and wash with warm water. In comparison, in Prague I was told after 2 hours remove the clingfilm and put no more on and also don’t wash your tattoo for at least 7 days with water. That’s quite the difference.